Eero Aarnio studied at the Art and Design School in Helsinki with Ilmari Tapiovaara as his teacher. At the beginning of the 60s, Aarnio experimented with new materials that enabled entirely new forms of design for him. From that came first the legendary fibreglass Ball Chair with unique shape, and a short while later the Bubble Chair made from clear acrylic glass. 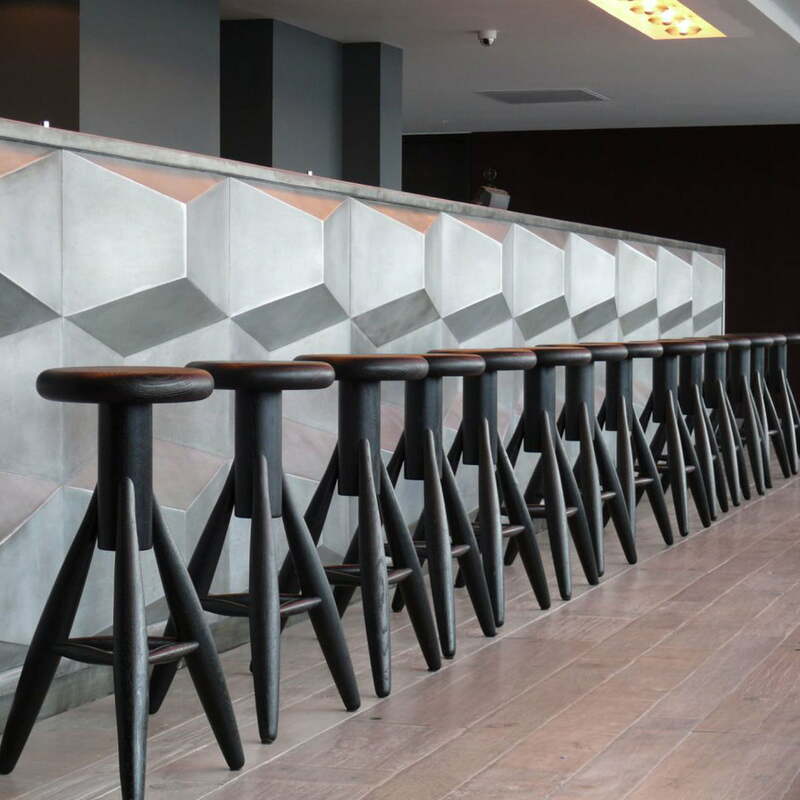 The Rocket barstool, a later design from 1995, is rather unusual for Aarnio. 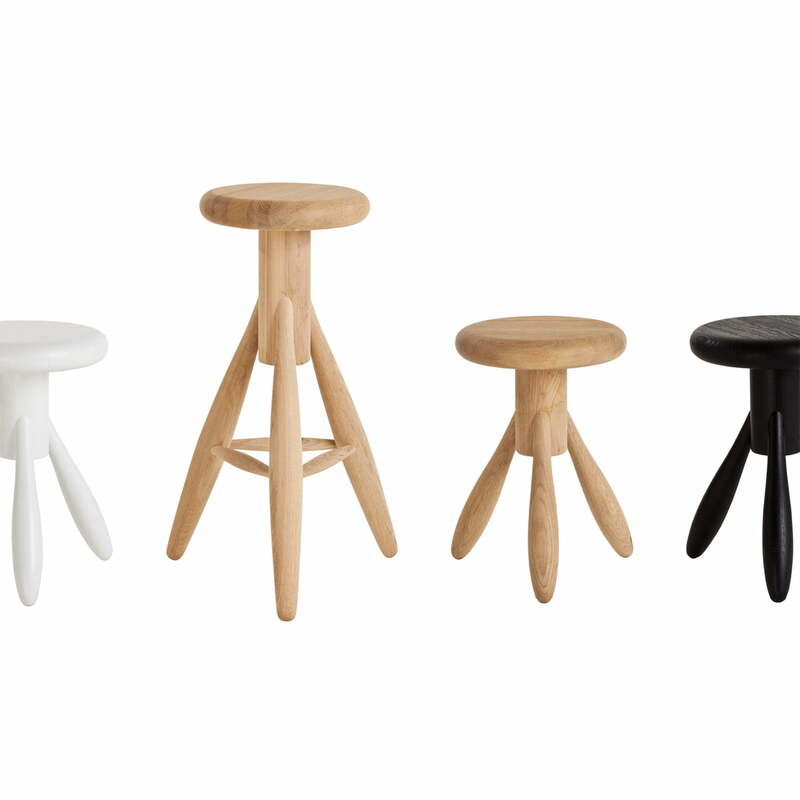 This high-quality barstool is made from oak and is available in soaped, black or white versions. 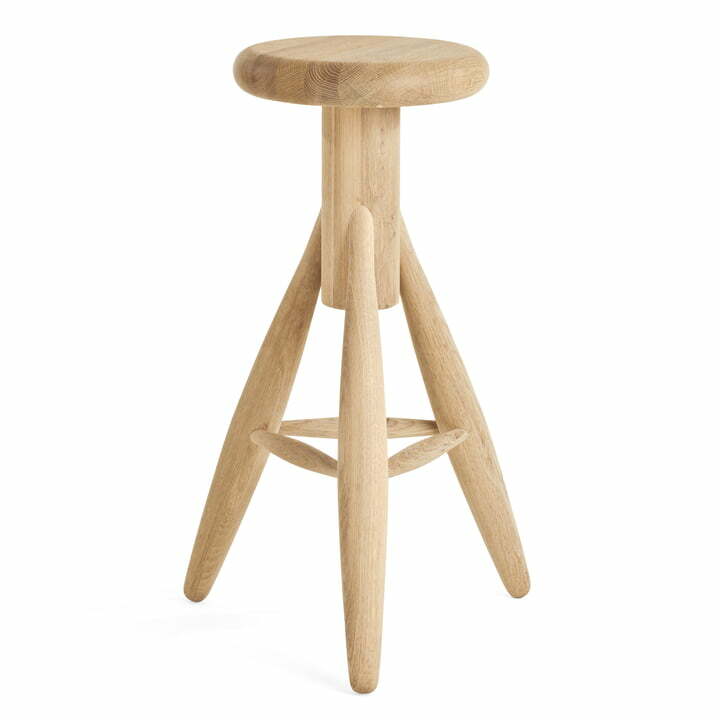 The Rocket stool has a 73 cm height and a 44 cm diameter. This small stool is also available in a smaller version as the Baby Rocket stool with a lower height of 45 cm.